Blog / Bodybuilding/Site Updates / IFBB Pro Anthoneil Champagnie is Back! After a break from bodybuilding since 2014, IFBB Pro Anthoneil Champagnie is back, bigger and stronger than ever. Anthoneil took some time off from bodybuilding to let a biceps tear on his left side heal as well as get his life in order. Notice that when Tristen Escolastico and Anthoneil arm wrestled that they only arm wrestled right-handed? That’s because Anthoneil was letting his left arm heal. 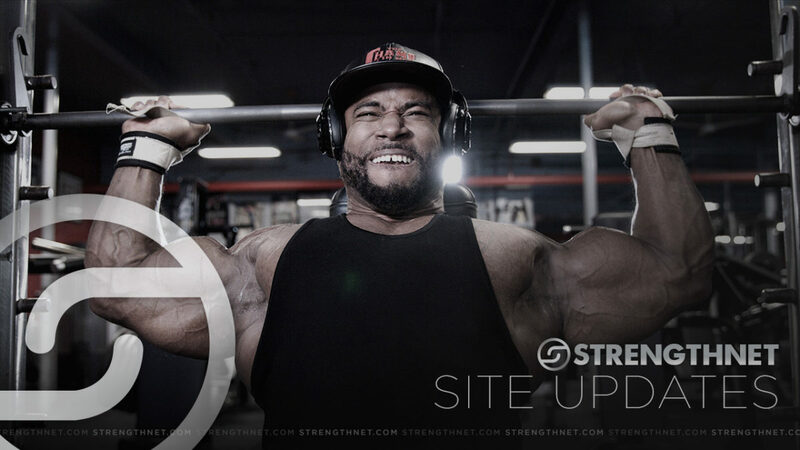 In his new training video, Anthoneil trains heavy shoulders and biceps. He’s pretty lean since he’s just 2.5 weeks out from the 2018 New York Pro.